The world’s largest democracy has begun to calmly and maturely assert its place in Asia and in the world. 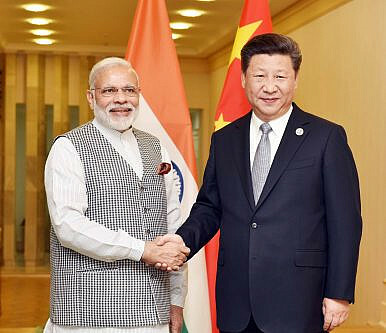 Doklam was a standoff that lasted over 70 days – a standoff with a belligerent and noisy China, in which India came out calm, confident and sure of its position. The Doklam crisis was one of the biggest tests for this Indian government’s foreign policy and so the breakthrough using the diplomatic channels on restoring the status quo at the Bhutan-China-India tri-junction point on the Doklam Plateau is undeniably one of the biggest diplomatic successes of recent times. In addition, India has signaled its importance and commitment to bilateral treaties by honoring the Friendship Treaty with Bhutan. This resolution is a good outcome for India’s mature, restrained, but firm response, which assertively conveys that, India and China can have a stable relationship, but only if mutual respect is on the table. Indian Prime Minister Narendra Modi needs to be congratulated for sticking to this measured and mature position, despite the enormous pressure of China’s ratcheted up psychological and verbal propaganda war and rhetoric including the infamous Chinese racist video that boomeranged so badly. The Chinese efforts were, of course, helped inadvertently or deliberately by some of our own – ranging from the Left and Congress leaders who preferred dinner briefings with the Chinese Ambassador and some of the expected ones in media. That the prime minister and his government remained firm and undeterred under this combination of pressure is a sign that the world is entering an era of a confident and assertive India. It is an India that is no longer a soft state exercising soft power, but rather a tough state that is unafraid of exercising hard options. The world’s largest democracy and fastest growing economy has begun to believe that its place in the world and in Asia does not depend on any other country but on its own confidence and belief. Since 2014, when Modi took his oath of office, he has pursued a foreign policy that is characterized by this determination to ensure India’s national interest will drive all its relations with friends and those not so friendly. Doklam was one test for this New India and today India stands more confident, measured and sure — based on its role in Asia and the world. The Modi government since day one has indicated that it is not going to be business as usual when it comes to India’s diplomacy. Right from inviting the leaders of all SAARC countries to his swearing in ceremony in 2014 to visiting countries that had been long neglected by the previous administrations, India’s assertion of its presence and role in the region was certain. In the past three years, with the policies of ‘Neighborhood First’, Indian Ocean outreach, Project Mausam, a historic visit to Israel, the Link West policy, the formation of International Solar Alliance, and a host of other initiatives, the Modi government has indicated that it is following an ‘India First’ policy that is calculative, devoid of empty sloganeering, and an instrument to secure India’s economic and geopolitical interests. He has demonstrated much patience even with the biggest nuisance of a foreign policy problem: Pakistan. The fact is that PM Modi made a surprise stop to visit former Pakistani Prime Minister Nawaz Sharif at Lahore in December 2015 to extend an olive branch to Pakistan. However, when Pakistan-based groups persisted with terror attacks in September 2016, the Modi government successfully executed surgical strikes at the Pakistani border, demonstrating that India would not allow a desire for peace and good neighborly relations to come in the way of pursuing its national interest. Modi has heralded rightfully an age where instead of being led by big power interests India is engaging proactively on its own with countries in the neighborhood and in the extended neighborhood. The global world order is going through major volatile changes. As the United States struggles with its global policeman role that it has assumed for several decades, signalling a desire to reset or reduce its policing footprint, it is clear that power vacuum is being created and will continue to be created in the Middle East and Asia. Some countries like China believe they will step into those opportunities unopposed because of their economic power and fast growing military power. The Narendra Modi government has clearly embarked on a path where India too will play a role in the new world order. Make no mistake, there will be many more pinpricks and standoffs: real and manufactured with the Chinese. But India will stand firm. It is for countries like China to understand and appreciate that this new assertion of India’s national interest spearheaded by the Narendra Modi government is here to stay and has the support of almost all Indians (except the few that prefer dining with foreign ambassadors to defending the country’s national interests). Rajeev Chandrasekhar is a member of parliament in the Rajya Sabha and vice-chairman of the National Democratic Alliance, Kerala.